September 16-24, 2018: the new edition of the international theater festival "In the Homeland of Anton Chekhov" was held in Taganrog. The tradition of the festival goes back to 1980, and received an international status in 1993. In this short period of time, theater companies and artists from Russia, Japan, Germany, Spain, Italy, Australia, South America, Georgia, Croatia, Ukraine and Great Britain have participated in the event. 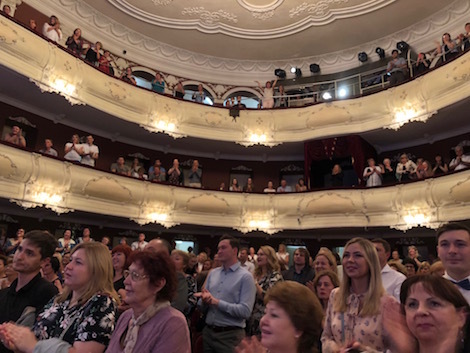 This year theater companies from Taganrog, Moscow, Moscow Oblast, Tambov, Orel and Donetsk (Donetsk Peoples' Republic) performed on stage of the historical Taganrog Chekhov Drama Theater. 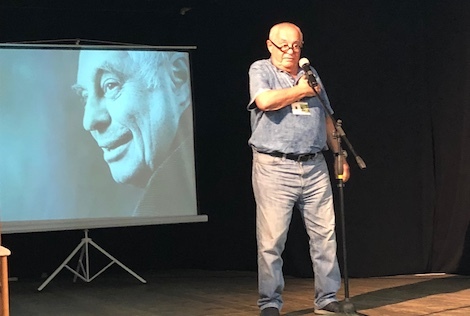 The festival program included many other events, such as the meet-the-artist sessions with People's Artist of Russia Mark Rozovski and the playwright Nikolai Zheleznyak. The variety of theater genres ranging from classics to contemporary dramatic art and from serious dramatic productions to music vaudevilles was a highlight of the Festival. The famous theatrical critic Lana Garon was guest of honour at the theater festival.